Skandar Keynes What would anda do if Skandar asked anda to marry him? Is Skandar the better actor in Narnia? Do anda think Skandar could play Simon in the Mortal Instruments movies? Is it true that Skandar Keynes has/had a pregnant friend? And did/do they have the same birthday? what do anda think if skandar have a tanggal with georgie? ummmmmm, shortly, they're dating?? Skandar Amin Casper Keynes (born 5 September 1991) is an English actor.He is best known for starring as Edmund Pevensie in The Chronicles of Narnia film series. He has appeared in the first two installments, The Lion, the Witch and the Wardrobe and Prince Caspian, and will bintang in The Voyage of the Dawn Treader, due in 2010.
mmmm... i dont want to incomode skandar !!! well mmmm... i think that skandar is so handsome !!! a reply was made to the forum post: is skandar cute? 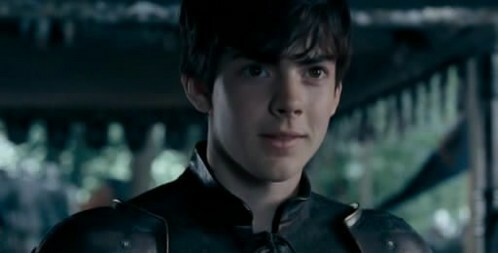 a comment was made to the poll: Skandar Keynes What would anda do if Skandar asked anda to marry him? a comment was made to the poll: Is Skandar the better actor in Narnia?